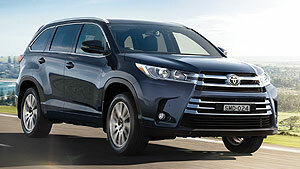 Toyota Kluger is the ultimate family car. 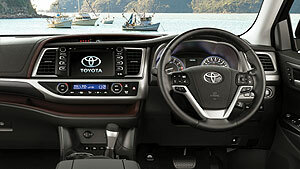 It’s spacious and stylish, packed with advanced technologies, safety features and creature comforts. 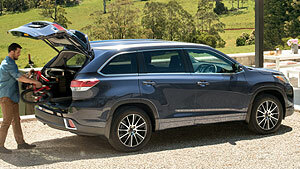 Available in Two Wheel Drive or All Wheel Drive, Kluger is the 7-seater SUV, made for families on the go. 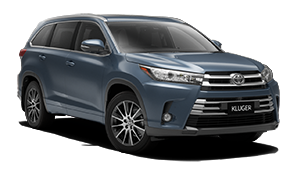 Equipped with a raft of technologies and features, Kluger is the ultimate family SUV, perfect for adventures off the beaten track. Kluger’s sleek shape gives the car a strong, dynamic stance and a large trapezoid grille and slim-line headlights emphasise Kluger’s powerful SUV face. Car seating in Toyota Kluger is designed to accommodate 7 in comfort, but also to be highly flexible with foldable seats offering a multitude of seating configurations. 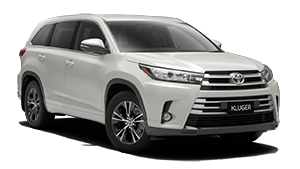 Kluger’s steering wheel controls let you change radio stations, adjust the sound system volume, select tracks and switch between audio modes and devices. Kluger’s 3.5 Litre Dual VVT-i engine has plenty of power – at 6200 rpm, it pumps out 201kW and generates 337Nm of torque at 4700 rpm. 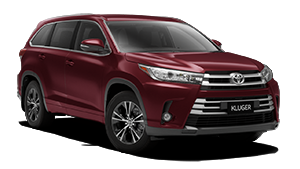 With Toyota Kluger you and your family are in safe hands. 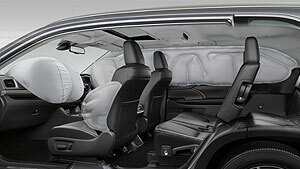 Kluger boasts 7 airbags consisting of front airbags, driver’s knee airbags, side airbags and side curtain airbags. 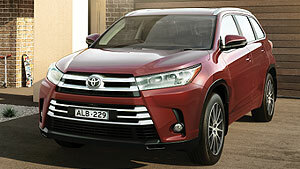 Toyota Service Advantage is just one of the great included features of owning a Kluger. You get low cost, capped price, standard logbook services at $180 for the first 3 years or 60,000km, whichever occurs first [T1]. 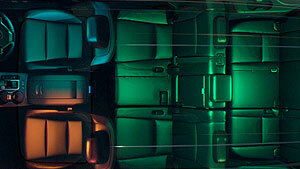 [T4] New Vehicle Warranty expires 3 years from date of first delivery or 100,000km, whichever occurs first. Refer to the warranty conditions. 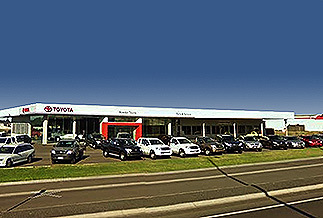 The New Vehicle Warranty does not limit and may not necessarily exceed your rights under the Competition and Consumer Act 2010.